There, that's it; we--we smother Him out. We drive Him away with our... From the poorest of us to the richest of us, from the least to the greatest, we keep God out of our lives because of our ownselves. 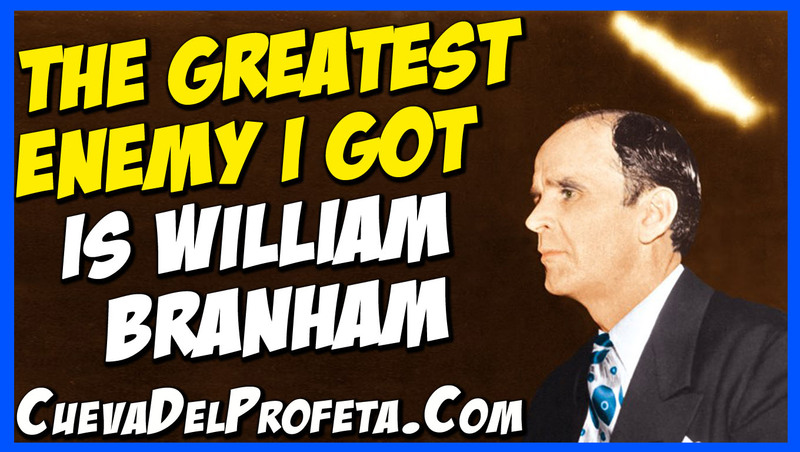 I've often said, "The greatest enemy I got is William Branham." He's the one that gets in God's way. He's the one that gets lazy. 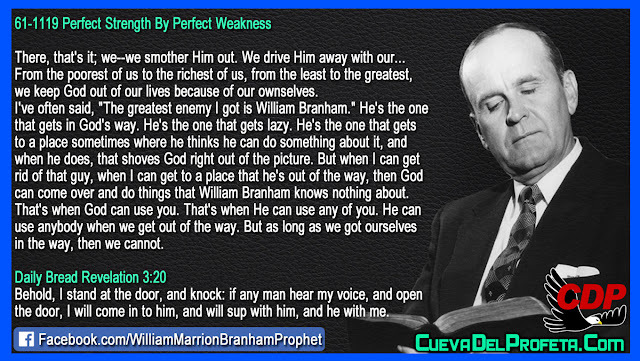 He's the one that gets to a place sometimes where he thinks he can do something about it, and when he does, that shoves God right out of the picture. But when I can get rid of that guy, when I can get to a place that he's out of the way, then God can come over and do things that William Branham knows nothing about. That's when God can use you. That's when He can use any of you. He can use anybody when we get out of the way. But as long as we got ourselves in the way, then we cannot.